I’ve been on a little bit blog hiatus, but rest assured it was for a good reason. 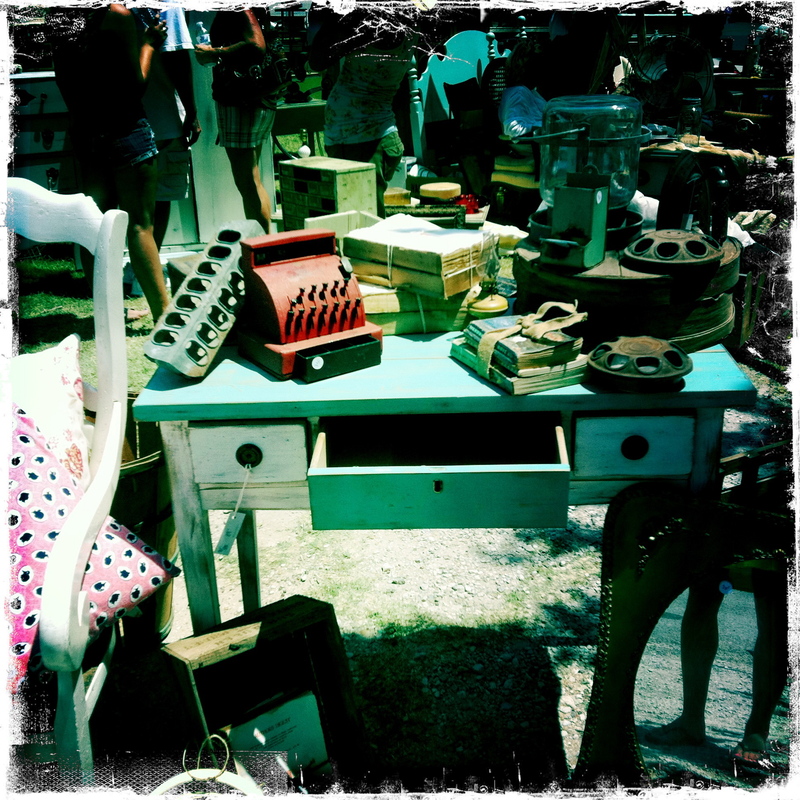 This weekend was overly saturated in activities, but we most definitely found time to beat the heat and hit up McKinney’s best-kept secret – the Old Red Lumberyard Junk Market. 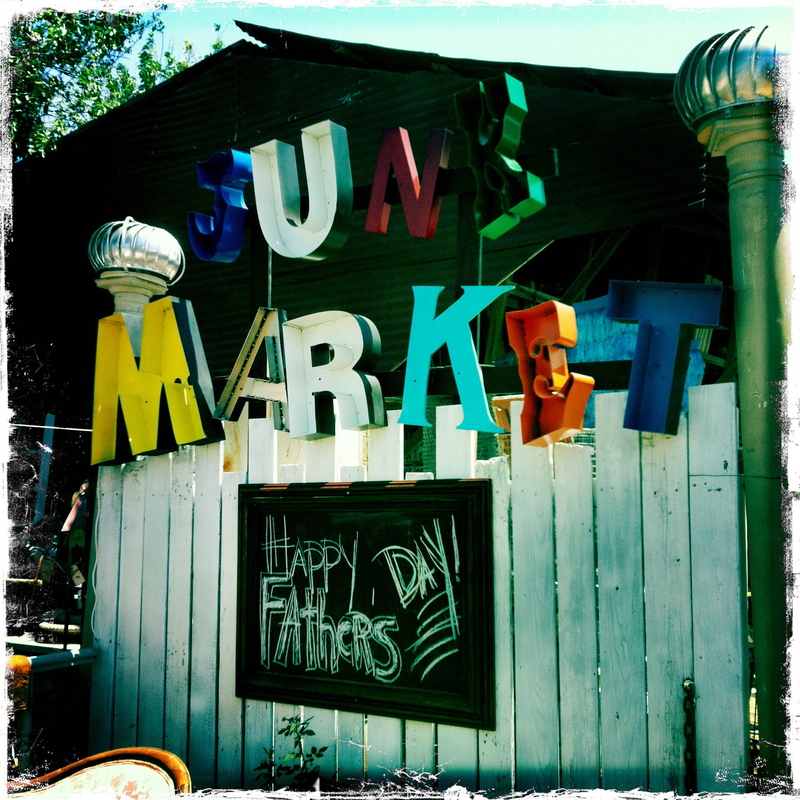 Hardly synonymous with a description of junk, you’ll find the Market to be a radiant collection of vintage treasures and trinkets, sweetly polished and posed by various vendors with a smart eye for American pickin’. Only open one precious weekend per month, the group tucks all their merchandise across Highway 5 in and around an old lumberyard, the perfect locale to unveil all their findings and attract those customers lucky enough to find them. Owners and operators Brian and Cynthia Kidwell have really motivated something special, inviting an electric body of savvy vendors who offer a high variety of antique goods, restored furniture, and a yesteryear aesthetic that is so popular in home design right now (think industrial one-of-a-kinds and salvaged wooden columns). Although I’m a little unclear about whose booth I was exactly visiting – as the merchandise seems to spill out onto one finely designed canvas – I will try my best to bestow the correct credit to those treasures I lingered around the most. If you know, please let me know where I go wrong. Otherwise, it appears the Old Red Lumberyard Junk Market’s Facebook page is extremely informative and constantly updated with details on vendors and dates for future markets! This absolutely darling collection was the first grouping of antiques I came across – and sadly, I am completely unsure of who this masterpiece belongs to! Located right at the entrance of the Market, I only know that a sweet lady with a company called Vintage Spirit stood by – it might have even been her stuff! 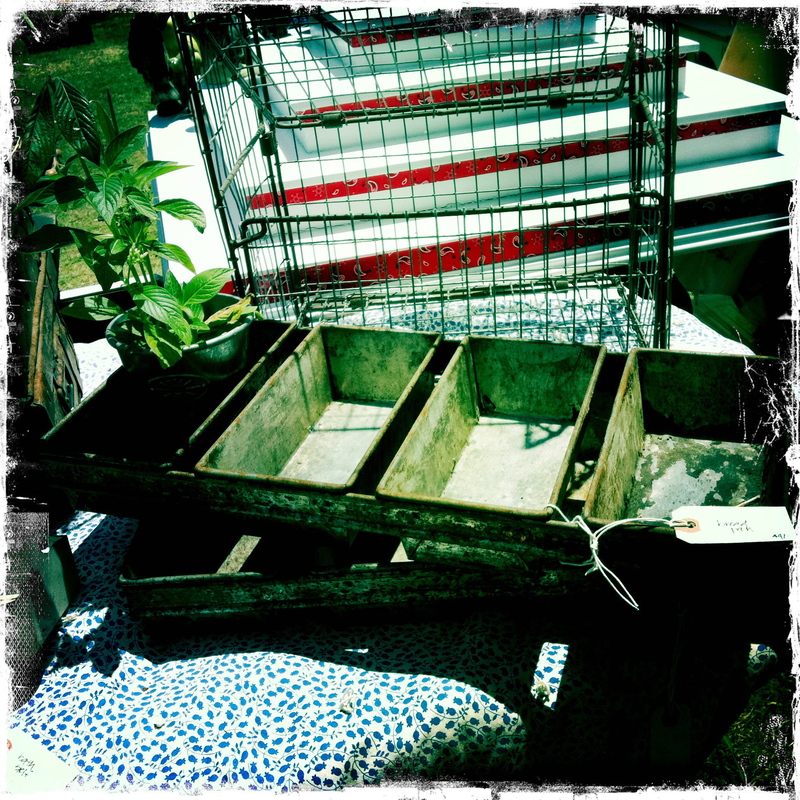 But you literally can’t miss this eclectic vendor next time you stop by. Check out that mini red cash register. I believe it was only $40 – totally worth it for a unique mantle piece! Found this baker’s bread pan near the previous collection, so it might possibly be owned by the same vendor. Notice the potted greens in the first pan – would look absolutely darling as a cottage centerpiece, or even if filled with an assortment of pine-cones or lavender. I believe this was also $40, and again, totally reasonable. This next collection, I know, is owned by Pocket Full of Heirlooms – aren’t you just obsessed with the name?? 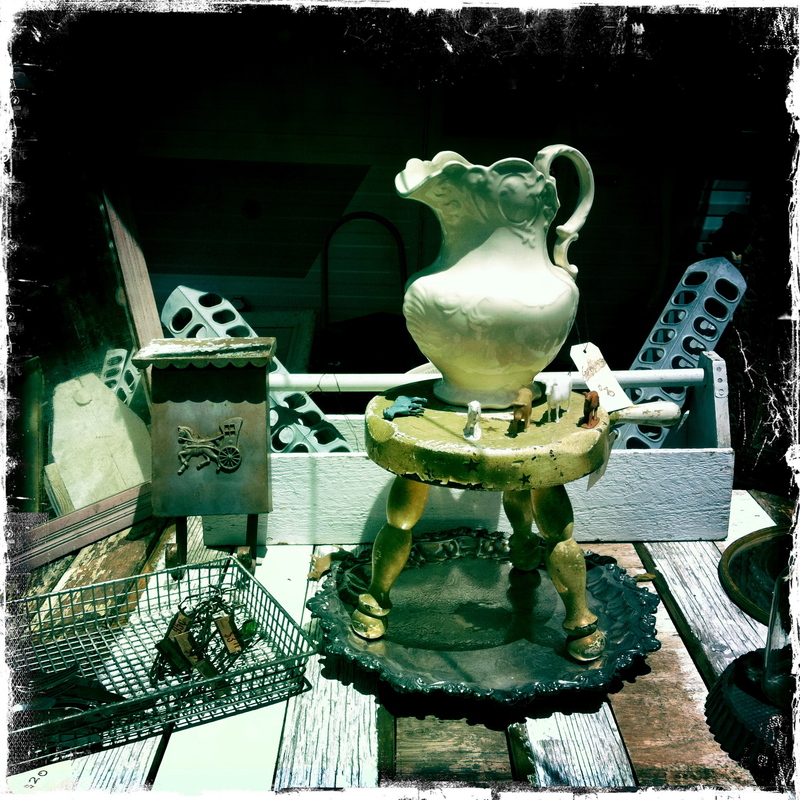 This vendor – the creative Brandy Evans – is highly organized and craftily prepared each Market with the sweetest antique trinkets that you’ll have a hard time finding anywhere else. I went absolutely bananas for the cream vintage pitcher (perfect for any bunch of summer peonies and only $37.99) and the horse and buggy metal mailbox ($26.99) – both of which are conveniently listed on the Pocket Full of Herilooms Etsy page! She’s frequently listed on the front page of Etsy, so you might already be familiar with her loot, but also check her out on Facebook because she always posts her findings along the way. 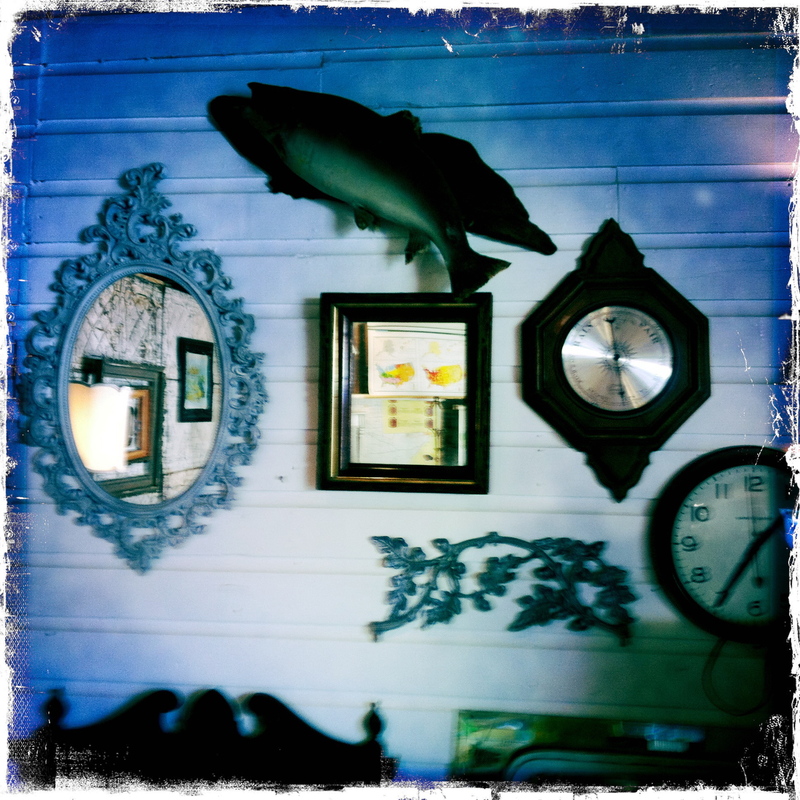 I also fell in loooove with this very odd but quite alluring wall display, courtesy of who I believe to be Treasure Spotters – who also has a fabulous Etsy page. If not, it was across from the Treasure Spotters booth, but tucked within a garage-like nook dressed as a mid-century parlor room. The mounted bass tells of summer adventure and lakeside bliss, while the ancient clocks and baroque mirror remind us that nothing gold can stay – I just love it when a room can say so much! And yes, before leaving I had to pick a keepsake from the aforementioned Vintage Spirit, who also has a Facebook page worth creeping by. 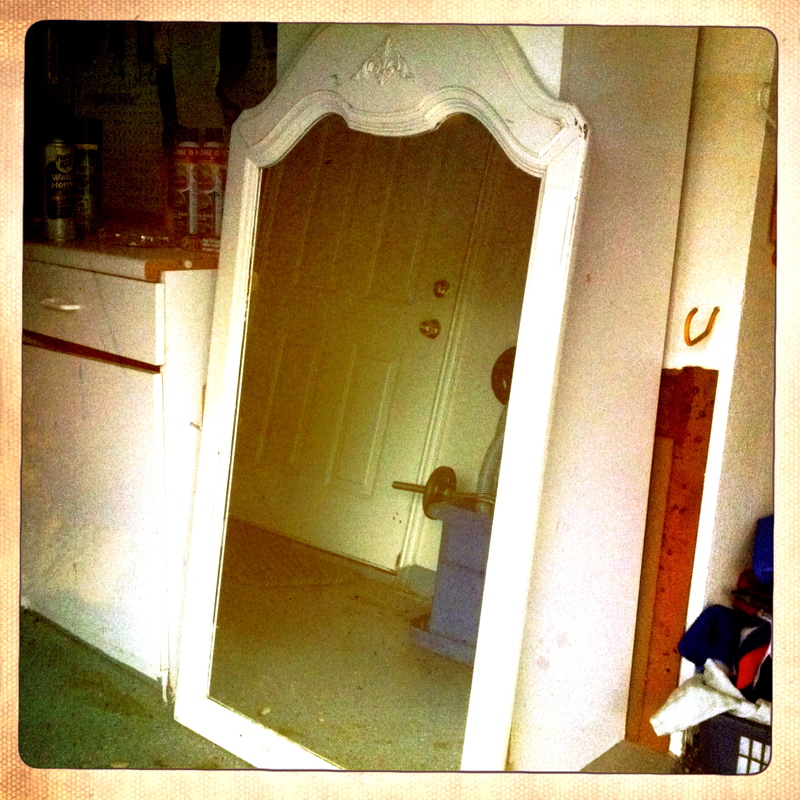 Please excuse the poorly taken photograph and the not-so organized garage reflected – but hopefully this visual explains how I just had to grab this refinished full-length mirror for some wall yet to be named. All I know is that it cost only $40, and we will all, at some time or another, need such a reflective and functional piece somewhere in our homes! If you’re interested in checking this admirable assortment out yourself – which you should be – stay in touch with their Facebook page for future Old Red Lumberyard Junk Market dates, as their currently unlisted for July. You don’t want to miss what this McKinney gem has to offer – with every specially selected piece and insightfully creative vendor, next month this stop will definitely be worth your while! Thank you so much for letting me know!! Your Vintage Bleu’s Facebook page is darling – love all the eclectic frames above the bed!